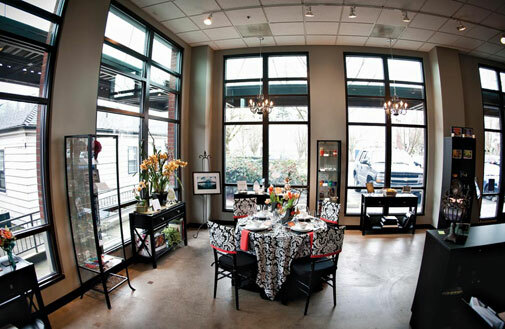 Soirée wedding planner Molli Barss has taken her expertise to the streets—or at least to a stylish new storefront in Portland’s Sellwood neighborhood. After 13 years coordinating local weddings, she decided it was time to bring her colleagues together and offer brides an easy destination to find inspiration and information from the best local experts. At Soirée Boutique you’ll find 25 vendors—from photographers to caterers, flowers to invites—along with a lounge area and event décor and accessories for sale. Don't miss the monthly boutique parties, when you can explore the store, enjoy complimentary refreshments (and pro advice! ), and leave with a goodie bag packed with exclusive savings.